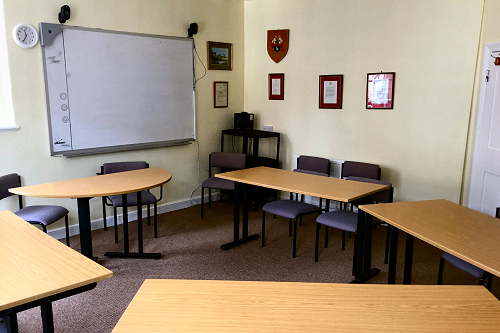 We feel that by hiring out our rooms and offices at very reasonable rates, we are helping the many charitable organisations in Sudbury and district that use us. 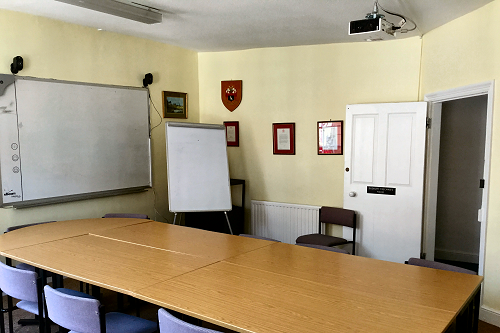 Apart from our more permanent office users, we also have many varied users of our meeting rooms. They include Sudbury Society, AA and NA, Visually Impaired Persons, Mencap, MTCIC, NCT, Counselling Services plus many more. Please Contact Us for enquiries / bookings. 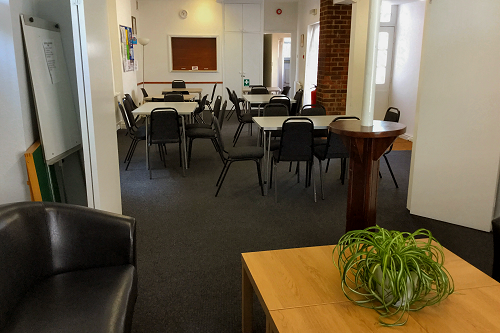 Located on the ground floor, with wheelchair access and an accessible toilet, this room is ideal as a drop-in centre or day care room and will accommodate approximately 50 people. 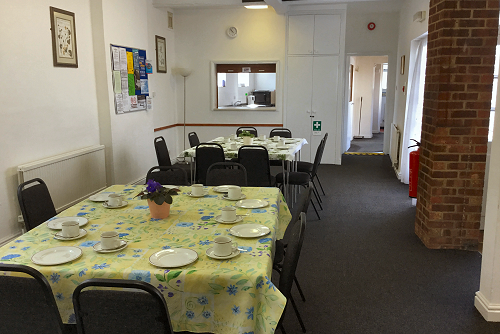 The main room is approximately 14′ x 27′, with an additional partitioned area of about 13′ x 12′, and has its own kitchen complete with oven, fridge, china, cutlery and glassware. 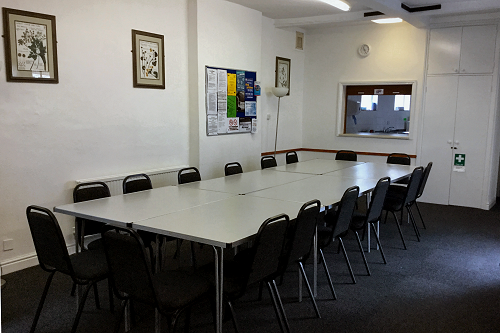 Located on the first floor, this room will accommodate about 20 people. 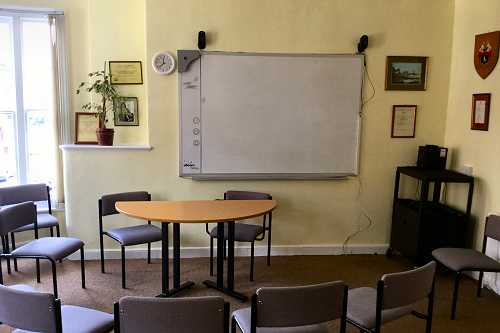 It is approximately 18′ x 17′ and is ideal for committee meetings and interviews. It is equipped with an projector / interactive whiteboard. 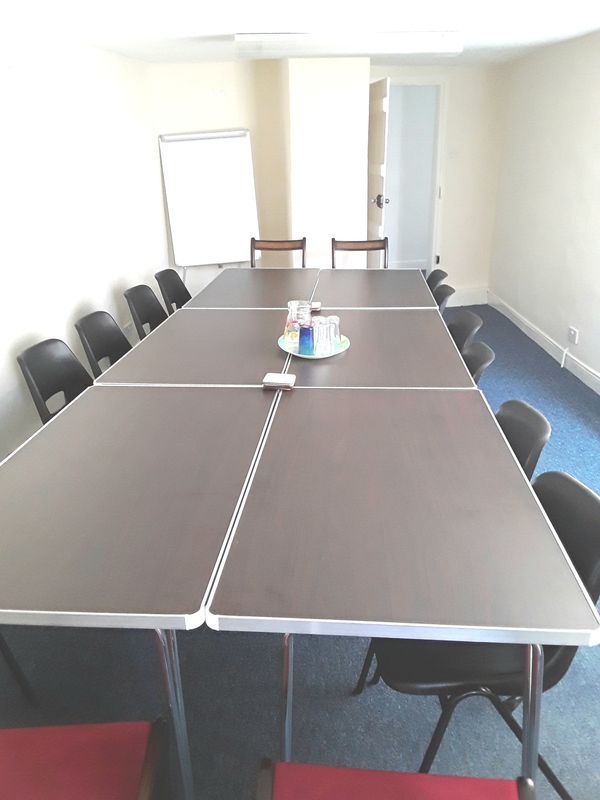 Located on the ground floor, the room is approximately 9′ x 18’and will accommodate approximately 8 people. 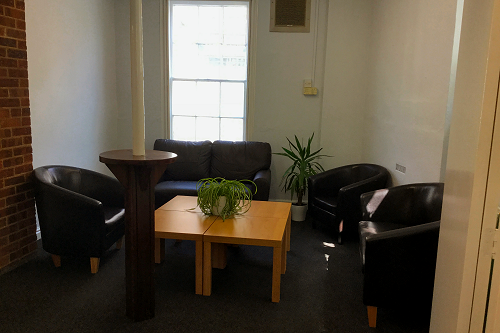 Located on the ground floor, this small room is suitable for interviews, counselling etc. It is approximately 13′ x 9′. It will accommodate up to 5 people but is more suitable for a one to one.